In the previous section we saw the arrival of Anubis in Mexico, his impact on the Olmecs and his creation of the wer-jaguars. The Olmecs reigned supreme in their lands from about 1200 BCE to around 400 BCE. But with the passing of the wer-jaguars, the living gods, the Olmecs were put on the same footing as their neighbors, who eventually caught up with them culturally and militarily. That would have ended the vampire story before it began, except for one twist, one remarkable man. Sometime before the disappearance of Anubis, a special child was born among the Olmecs, here called Quetzalcoatl. There are many, many images of Quetzalcoatl. Remember that these are much later representations of the Olmec bat god, transmuted for the Aztec culture. That wasn't his name, nor even a name he ever used – those are lost to history – but it is an Aztec name for the much later god inspired by him, even as Xolotl, Quetzalcoatl's twin, dog-headed companion, guide of the dead in the underworld, was a clear reflex of the last memories of Anubis, which is how it is known that Anubis still lived among the Olmec when Quetzalcoatl was born. So far there is no archeological or mythical evidence to give us even approximate dates for the birth of Quetzalcoatl, but we can make an educated guess that it was between 1100 BCE and 900 BCE. When Quetzalcoatl's mother took him into the daylight, his skin blistered and corroded from the light of the sun. Among a people more or less immune to normal sunburn, this might have been considered a deformity. He might have been disposed of – if he hadn't been born into a culture that worshipped the creatures of the night. 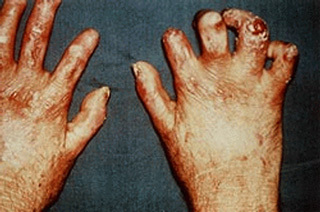 Modern medicine would recognize his disease as some sort of phototoxicity, such as porphyria. His condition, resulting from a genetic mutation, caused extreme reaction to sunlight, his skin ulcerating and bubbling up like boiling syrup. Blood permeated the whites of his eyes and teeth, staining them red, further singling him out as special. Quetzalcoatl came to the attention of the priesthood, which by then had reached some maturity in terms of body control and was, of course, deeply imbued with the worship of jaguars and creatures of the night. The priests took Quetzalcoatl into their protection and training. They considered his special affinity with darkness as a mark of favor from the gods. He learned well, and in due course it was decided he should try to take the bat form. Maybe the priests had kept trying from time to time to capture the bat form, or maybe Quetzalcoatl's night life made him seem an uncommonly good prospect to try for the bat. He was. He was infected with bat blood from a bat which had been infected by Anubis' blood, either the common vampire bat, Desmodus rotundus, or perhaps even an extinct species. (Vampiro Draculae. There are reasons to believe this extinct species is the vampire gene donor.) Whichever, he took the vampire shape and made it his. Not quickly and not in its natural form, which had to be painstakingly altered it to make it viable. In this he must have been a genius or inspired. With essentially the same techniques Wepwawet had used two thousand years earlier to survive the change to werewolf, he reinforced bone and reshaped tissue, experimented with wingspan and membrane strength and resilience until he had a working form. The infection given to the bat clearly came directly from Anubis – it was too virulent to have been derivative – and Quetz was more susceptible than most. Possibly he had been 'pre-infected' by Anubis with the jaguar form to make the change to bat easier. In any case the change took him magnificently. He nearly became the equal of the last great Egyptian gods. He was the first human to stand on bat feet and unfurl twelve foot bat wings. He, before any other, darkened the stars with his giant bat body, pulling at the cool night air in the ecstasy of flight. He is remembered in much later Aztec lore as a feathered serpent, so perhaps at some time he took a bird form, also, or perhaps the wings of the bat simply changed mythically as time passed into the eagle's wings. In this same way his association with wind might be explained. The serpent part of the myth is puzzling unless Anubis taught the Olmecs the secret of infecting reptiles with rabies. He's also known as the symbol of death and resurrection. Quetzalcoatl lingered with his people for a while in some companionship with Anubis. It must have been an intimate friendship for the two to become 'twins' in later lore. But Anubis could not have guessed that Quetz embodied the very thing Anubis sought – the path to immortality. Neither of them knew it. Anubis thought only of finding the original source of blood, which Quetz clearly was not, and Quetz hadn't lived long enough for anybody to realize the secret that his immune system wasn't fighting the virus. Probably when Anubis disappeared and the wer-jaguars died off, Quetzalcoatl left. It may even be that Anubis and Quetzalcoatl left Mexico together. 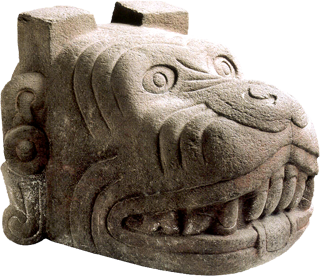 We can guess the date to be well before 400 BCE, when the Olmecs' star set, and those of other civilizations rose. It may be Quetzalcoatl set out to find the land that had engendered Anubis and the legendary civilization the wolf-god had spoken of, or even to seek the Original Source himself. Or he may simply have outgrown his own bloodthirsty culture and sought gentler companions. Of course the blood thirst haunted him too. He'd grown up with it as his cultural heritage and had no moral compunction against murder, unless he transcended his culture and developed such a morality on his own. There's a body of myth that he never sacrificed humans, only snakes, birds and butterflies, but he did receive the bloodlust as a genetic legacy when he took the bat shape. That thirst is always there. It never leaves. Being human as well as bat, he didn't actually need blood. He could live on anything a human could eat, and more. Perhaps he eventually grew tired of all the killing and just left. He might have felt himself a stranger among his own people, a people that no longer included his family or even remote descendants of childhood friends. They had died off long before the shape-shifting wer-jaguars disappeared. Nobody else survived the change to wer-bat, and Anubis, it seems, had vanished or perished. All the old ties had disappeared. 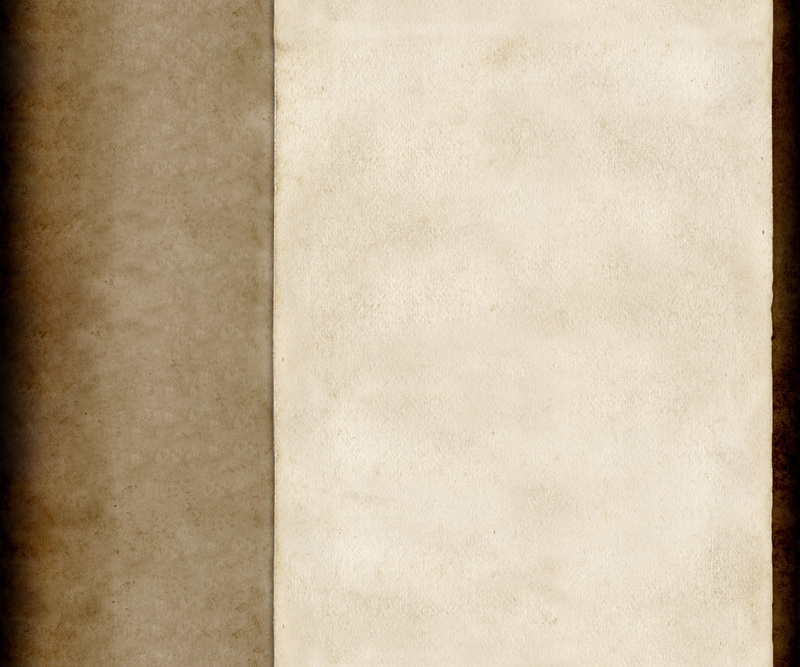 Even the language had changed over the centuries. The question remains of how he left. He might have wandered north and north and north, adapting to the cold as he went, until he found the narrow Bering straits and crossed by boat into Siberia and down into Europe. Or there's the legend of his setting sail on the year 'One Reed' and promising to return in a One Reed year, which set the stage for Cortes, who did arrive in a One Reed year. This, if factual, is another of those 'cosmic happenstances'. There may even be a connection with the reed boats Anubis arrived in. Perhaps Quetz rebuilt them and used them to depart in. Perhaps, the mystery of Anubis' disappearance is simply that he and Quetz embarked together, rowing with tireless arms until they had traversed the Atlantic, arriving at some unknown destination. Therefore Quetzalcoatl must have shared his blood – probably several times. He left a great number of vampire descendants in that area, although he himself also eventually disappeared without a trace. None of these had Quetzalcoatl's training and none survived the change. But the virus can be passed from mother to child in the womb, and some had the disease too mildly to throw their bodies into the transfiguration, and so survived. Or at most they shifted only weakly, resulting in rodent-like features and a loathing of the daylight. His whole race of vampires fear the sun. The virus brings, to a greater or lesser extent, whatever genes it found in its previous host. 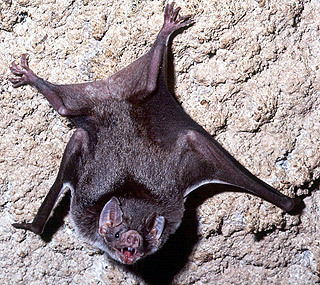 The phototoxicity gene proved to be a persistent migrator and runs true in the European vampire. But the weakened virus gave those degenerate vampires little more than the rabies madness, the bat's thirst for blood and Quetzalcoatl's hatred of the sun. They might occasionally go through the coma and may seem as the living dead. They shape shift a little, enough to impress the ignorant, and they have somewhat more strength than other mortals, but none of the godlike stature of the Egyptians or Quetzalcoatl. Any further chapters of his tale, or indeed that of Anubis, are as unknown as those of Wepwawet. The next section follows Quetzalcoatl's vampire legacy to its ultimate culmination in Dracula. 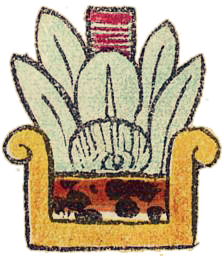 One Reed is actually a year designation in the Aztec religious Calendar, which had twenty days signs – things with names like crocodile, flower, vulture and reed – along with thirteen numbers. Each day, both a sign and a number would increment, with the result that it took 52 years to get back to the same sign and number combination. 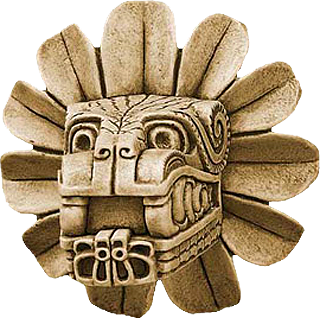 One Reed ("Ce Acatl" in Nahuatl, the language of the Aztecs) thus designates a day whose sign/number combination occurs only once every 52 years. One Reed is of interest to us because day designations of this sort were all associated with gods (and thus incorporated a kind of numerology of lucky days and unlucky days depending on the attributes of the gods associated with them). The names of the gods could include the day associated with them. 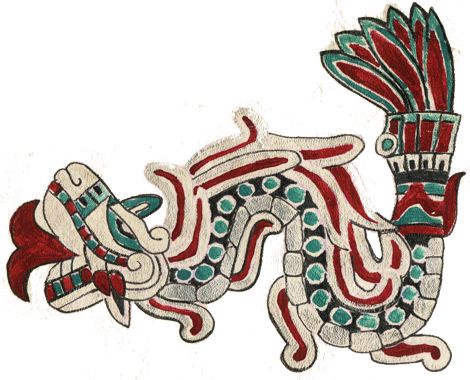 Thus Quetzalcoatl's 'full name' was Ce Acatl Topiltzin Quetzalcoatl, which means something like "our revered lord the feathered serpent of the day One Reed". He is said to have appeared from the East on a One Reed year (remember that day sign/number combination only occurs once every 52 years), and left into the East on a One Reed year, promising to return again on a One Reed year. Of course, it is a well-known happenstance of history that Cortés appeared in Mexico in 1519, a One Reed year. Since the year does repeat twice a century, this is not such an amazing coincidence, but it should not be dismissed without some pause for thought. That aside, this is a good point to remind ourselves that the first vampire was not in fact named Quetzalcoatl – that was a much later Aztec name. His Olmec name is forgotten. He began as a bat god, but through a process of association of bat wings with bird wings, he became feathered. This association was reinforced by his association with wind (some translate Topiltzin as whirlwind ) for it seems he was a wind master. His bat god aspect also survived, but was eventually overshadowed by the feathered serpent aspect, which really only began long after he had already left for the Old World. He was the god of knowledge, culture, and civilization and, in Aztec mythology, was one of the first four gods to be created by the male/female creator god, Tonacatecutli. (See Totem Animals/Shamanism for a brief discussion of two-souled shamans, which find a reflection in this male/female creator god.) He is also said not to have engaged in human sacrifice – a spiritual superiority almost unique among the Mexican/Meso/South American gods. The shores of the Black Sea. The Black Sea has been, in its own way, as key to the history of the Old World as has the Mediterranean. It is surround by six countries and a diverse geography. Turkey in the south boasts the city of Constantinople (Istanbul), which for one thousand years dominated any commerce that wished to pass down from the north along the great rivers (Danube, Dnieper, Dniester and the Don) through the Black Sea and on through the Bosporus straits into the Aegean and the Mediterranean. Somewhere around the shoreline of the Black Sea is the likely homeland of the original speakers of what is called Proto-Indo-European, the mother of the languages of perhaps three billion of today's people. The exact location is not terribly important for us, because of the easy mobility around the shore or over the Black Sea itself. It has also been a rewarding homeland for wolves, which can travel from the steppes to the Carpathians unhindered. Here also was a fertile breeding ground for rabies, and, without doubt, the nursery for the mutant strain of rabies called Wepwawet's rabies. Here, somewhat inland, on the northern west shore in or around the land now called Romania, was the homeland since time immemorial for the family of Vlad Dracula, called Vlad the Impaler. And here with certainty was the haunts for at least the last ten thousand years of Aarrgh, for no other place offered the confluence of elements he needed to carry out his dual breeding programs of virus (in the wolf host) and human bloodline tailored to host Aarrgh himself in due time. Herman Hesse (http://www.online‑literature.com/hesse/) 1877-1962, was a German poet and novelist, awarded the Nobel Prize for Literature in 1946. The well-worn phrase, 'sentient being' literally means a being that feels – has sensory awareness. I use 'sentience' to mean having direct perception of 'reality'; that is, intuitive knowledge simply by perceiving. It is a step in a ladder of awareness, whose last three rungs are represented by: orangutangs, homo sapiens (yes – people) and, finally, homo sentiens – as I have styled this being whose awareness interests me.